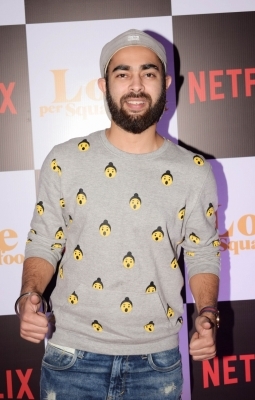 Mumbai Sep 14 (IANS) The emergence of entertainment via digital platforms has not just opened up doors for actors and storytellers but also lent convenience to the audience says actor Manjot Singh. Known for his roles in movies like "Oye Lucky! Lucky Oye!" "Student Of The Year" and "Fukrey" Manjot featured in a five-part YouTube web series called "What s Your Status" by Ultra Shorts. "Web series are a great opportunity that s have come up for actors and directors and the entire film industry. This web series format is very convenient for the people who all face difficulties to travel and watch the film in theatres. Even the realism is more and it s growing day by day " Manjot said in a statement to IANS. The show revolved around types of relationships -- single committed and married -- told through the stories of three people experiencing different circumstances in different cities. "It has opened up so many avenues for me after doing Pitchers . It has a phenomenal reach and doesn t involve big production costs. If the content is good it will be defiantly be picked up by people. "This platform has opened up to a lot of people who want to create content with new ideas new narratives which make this space more exciting. Every actor wants to be in an exciting growing space and this is the right place to be " he added.